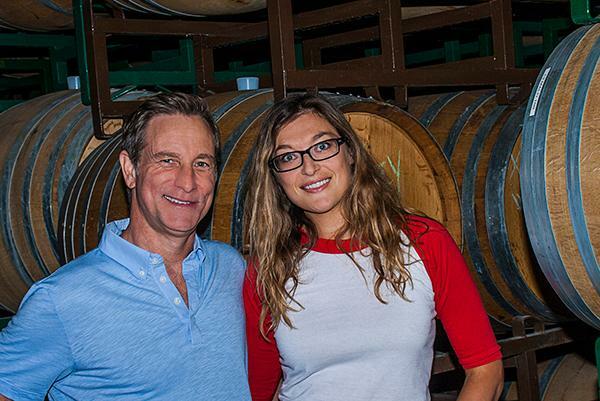 Liquid Farm owners Nikki & Jeff Nelson seek to support local viticulture and honor their palates' love for old world wines that have naturally high acidity and are not masked by many of the modern day manipulations. To do so, the Nelsons selfishly decided to make what they most love to drink: Chardonnay that is earth and mineral driven from cool climates with little or no new oak. To achieve these qualities we were drawn to one of the coolest of all California AVA's, Sta. Rita Hills. Located in Santa Barbara County, it is home to some of the most Chardonnay-suited, unique, ancient soils in North America. Often said, but very true, all great wine starts in the vineyard. The name Liquid Farm reflects the owners' strong belief in that philosophy. It is truly all about place in combination with the highest quality fruit and letting the varietal and regional TYPICITY of the wine shine through from vineyard to glass...Liquid from Farming. The Nelsons allow the wines to develop on their own with little intervention, minimal or no new oak and use no additives or machines to manipulate the wines inherent personality. The project is also committed to blending from the handful of special vineyards we work with in the small AVA of Sta. Rita Hills to produce a collection of Chardonnays that are markedly different expressions, but with the same thread of intense minerality and salinity they started with in the vineyard. Antonio Galloni 94 "A drop-dead gorgeous wine, Liquid Farm's Chardonnay Golden Slope bursts from the glass with layers of yellow stone fruit and spices supported by beams of minerality. Smoke, slate, chamomile, sage and lightly honeyed notes add complexity on the super-expressive, pulsating finish.